Heading into Sunday’s game against the San Antonio Spurs, the Houston Rockets knew they had nothing to gain from winning. Thanks to the Milwaukee Bucks and their win over Golden State the other night, they already had the No. 1 seed in the Western Conference. They already set the single-season wins record for the franchise. There was nothing to gain. 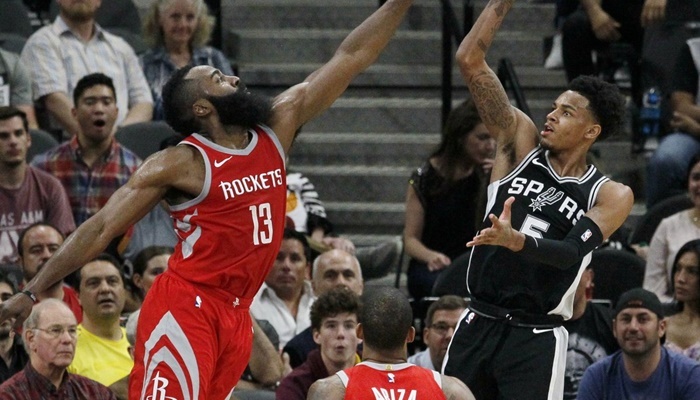 But that doesn’t mean that Rockets head coach Mike D’Antoni is okay with the lackluster effort he saw Sunday afternoon in a 100-83 loss to the Spurs. San Antonio didn’t blow the Rockets out until the fourth quarter, but Houston never really threatened. “We just didn’t bring it. We just weren’t sharp,” D’Antoni said after the game (ESPN). “We haven’t been sharp now for about three or four games. It hasn’t just been one or two days. That’s scary when you rest guys. Houston had its worst field goal percentage of the season (33.8) and recorded the fewest assist (12) and three-pointers (seven) as well. Their 83-point total is the lowest the team has recorded under D’Antoni. 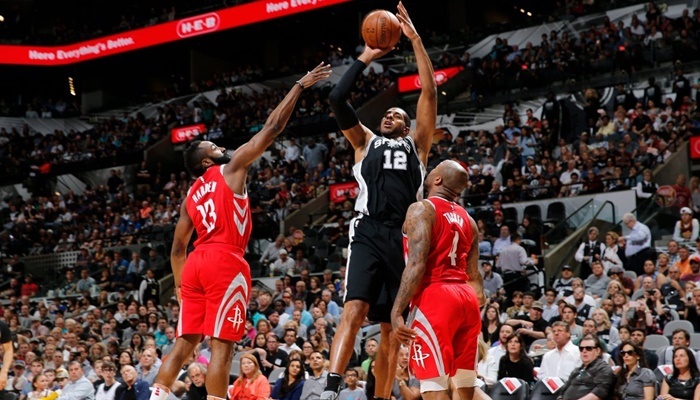 Houston was still within striking distance when the fourth quarter started; they were down by nine, 75-66. But then San Antonio went on a 19-8 run to open up a 20-point lead, 94-74. D’Antoni ended up benching his starters a couple minutes later with the game well in hand for the Spurs. Chris Paul did sit the game out with a leg injury. The Rockets have been virtually unstoppable when Paul, James Harden, and Clint Capela have started. Harden still recorded 25 points and eight assists, but he struggled from the floor (8-19) and especially from three-point range (1-6). Capela chipped in a double-double with 11 points and ten rebounds. San Antonio, who is fighting for a playoff spot, got great games from LaMarcus Aldridge and Rudy Gay. Aldridge scored 23 points and pulled down 14 rebounds along with three blocks; Gay chipped in 21 points off the bench. The Spurs are now 45-32 and have a half-game lead on the Oklahoma City Thunder for the No. 4 spot in the West. With how poorly they’ve played on the road this season, home court advantage could make a difference in the opening round of the playoffs. As for Houston, they just don’t want to be “that” team. They don’t want to dominate as they did throughout the 82-game regular season and not at least make it to the Conference Finals. However, at the same time, D’Antoni has to make sure Harden doesn’t get worn out like he did in the playoffs last season. So, it is probably safe to say the Rockets are not going to lay down when John Wall and the Wizards come to town Tuesday night.